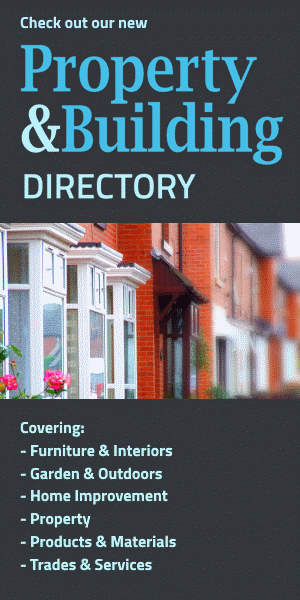 If you follow our sister site, the Property & Building Directory, you'll have seen our piece about how a domestic lift can not only keep your home accessible but also potentially add value if you come to sell it. So, a win-win situation really. Wearing our design hats, though, one of the challenges of making any accessibility changes to your home - whether that's installing a stairlift, or providing ramped access up to the front door - is doing so in a way that keeps it looking nice. Fortunately, that's a consideration that our friends at Stiltz Lifts - featured in our Directory here - have taken into account when designing their electric domestic lifts, recognising that accessibility shouldn't have to be at the expense of aesthetics. To recap, Stiltz Lifts was only founded in 2011, but its dual-rail electric lift design - which moves vertically between floors, through an aperture in the ceiling, rather than up the stairs - has quickly attracted attention and plaudits. Because the lift doesn't need any load-bearing walls, and (for the 'Duo' model) has a footprint of less than seven square feet, installing it somewhere unobtrusive is pretty easy to achieve. So, from an interior design perspective then, where's the best place to install your domestic lift? 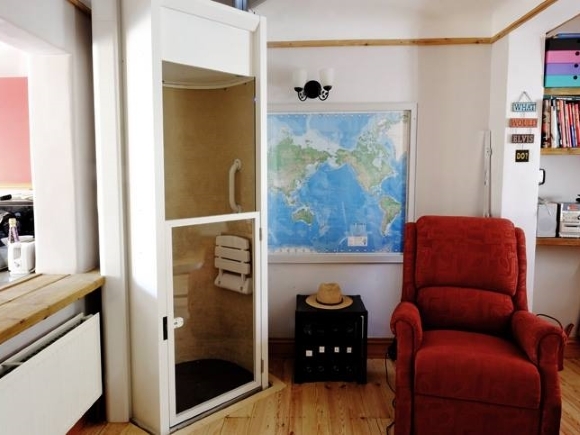 As the Stiltz image gallery makes clear, the corner of a room is a popular location for slotting in a domestic lift. We can see why - the streamlined, standard cream design of a Stiltz lift means that it works well in a modern lounge, study or bedroom space, and can almost be mistaken for a cupboard or unit. However, if your home is a feast of dark-wood furniture and chintzy wallpaper, don't despair. You could make your lift blend in by adding a bespoke colour option (there are some nice black ones on the Stiltz Lifts Facebook page, for instance), or consider one of the other potential locations that we haven't told you about yet. We have to confess, there is something aesthetically pleasing about a room with clean, uncluttered corners. So, why not go to the other extreme, and turn your domestic lift into a centrepiece of the space? You might not want to install your lift right in the middle of the room - though you could if you wished - but there are other scenarios where the Stiltz lift's self-supporting design (i.e. no need for it to be up against a wall) is handy. For example, we rather like some of the gallery examples where the lift simply rises up through the middle of the stairwell - keeping all your circulation together, and making clever use of a void space that already exists. The ultimate, IKEA-inspired design choice - tuck your lift away! Because of its compact design and mechanism, installing your lift in an existing cupboard is a serious option, and one that Stiltz flags in its FAQs. You'll need to think about the practicalities, of course (it's no good having a lift in a cupboard if you'll struggle to manoeuvre yourself into there), but it's a great option if you really don't want to compromise your design principles. Alternatively, there's no reason why you couldn't have your new lift installed against a wall or corner and then get in a handyman to fashion a built-in unit around it. What's not to like? A seamless integration of the lift into your home, and the opportunity to stun your dinner guests when you emerge, resplendent, from what they think is a cupboard. So, whether you decide to celebrate your lift or conceal it, rest assured that you can continue to move around the home that you love while still channelling your inner Laurence Llewelyn-Bowen.